Jennifer Pawlitschek is a communications consultant, specializing in both interpersonal communication skills and in performative communications skills(voice and speech). Jennifer Pawlitschek is a consultant and trainer in communications, creativity and team-building for organizations and individuals. Featured in the New York Times for her voice/speech expertise, she was worked in many sectors, including corporate, legal, government and not-for-profit. Jennifer’s passion is to empower individuals with the skills they need to advance in their careers, and she delivers training that is responsive to clients’ needs, goals and individual learning styles. Prior to training design and implementation, Jennifer meets with clients and does extensive research in order to create trainings that effectively target these individual client needs as well as the group or corporate culture. Her clients include many international corporate professionals, for whom she tailors trainings to help them excel in American culture. Jennifer’s clients tend to be highly skilled and need only communication skills to move up in their careers. Jennifer also works in creativity and innovation training, designing and delivering workshops for science and technology professionals. Her results-oriented trainings give participants the tools they need to solve problems effectively in new ways. Prior to her career in corporate training, Jennifer worked in the legal industry as a legal writer. 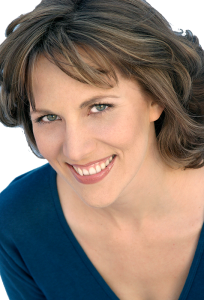 She earned her MFA in Drama from UC Irvine and has been a professional actor/writer for many years. While at UC Irvine, she studied teaching and learning theory and group training design and implementation with UCI’s Learning Center. She then developed trainings for her department in these same subject areas, as well as in the areas of diversity and academic issues. Jennifer can be reached via email here.